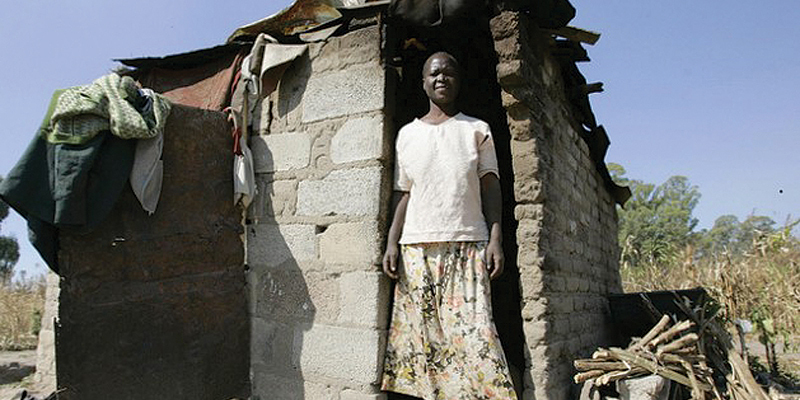 THAT over 5 million people in Zimbabwe are living in extreme poverty, throwing out of balance the country’s capacity to meet the United Nations Sustainable Development Goal is an indictment on the government given the prevailing levels of corruption, social decay and economic decline. Although Zimbabwe is not among the top 10 African countries with people living in extreme poverty, the fact that over 5 million citizens are reeling from hunger is reason enough to push the government to deal with factors impeding on economic development. We regret that to date, successive Zanu PF regimes have failed to improve the country’s economic conditions choosing to focus on self-aggrandisement at the expense of the poor majority. Clearly, the report by the World Poverty Clock should not be overlooked, but should help the government to relook at its priorities given Zimbabwe is a signatory to the UN whose deadline to end extreme poverty by 2030 could be a mirage. The fact that according to the report, 5 679 092 people in Zimbabwe are living in extreme poverty, with a target escape rate at 51,8% and a current escape rate at 11,1%, should make government relook its priorities and boost economic activity. It is important to note that World Poverty Clock provides real time poverty estimates based on a global standardised database on income for every individual in the world. Is it not telling if most urban suburbs across the country have no basic infrastructure such as roads or appropriate sewer systems? Is it not true that these are the least of the problems for most of the citizens who often have to live on one meal per day? The economic woes have seen thousands of companies laying off thousands of workers due to poor economic conditions. The country’s unemployment rate stands at 90%, and is set to increase as even the government is also set to retrench in order to trim its unsustainable wage bill. The percentage of citizens that have been unable to send children to school because of lack of fees or uniforms is too high to contemplate, while people who have gone without cash income and had to make a plan for daily needs is too ghastly to think about. Poverty has mostly been induced by a shrinking economy that has seen people lose their jobs or go for months without pay, as formal employment conditions worsen. Yet, President Emmerson Mnangagwa is as usual assuring citizens that no one will die of hunger despite lacking the financial wherewithal to feed the needy. What we know is that Mnangagwa is either slow in dealing with the economic malaise or is too compromised that he cannot fight the ruling class’ endemic corrupt tendencies. We have no doubt that the economic problems affecting citizens are inflicted upon the poor by a ruling class eager to protect its loot. This is unpalatable, and whoever wins the July 30 elections will have to move with speed to alleviate the pain the majority of our citizens are going through. Our hope is that the elections would be free, fair and credible to guarantee a complete change to the poverty tide.